Over 800 years ago, on a plot of land in Florence, Italy, the Dominican Friars began making remedies for their infirmary with their own secret formulas and potions. For years, they created their own special tonics and preparations using the medicinal herbs cultivated in their own gardens. Eventually, word got out that what they were creating was very unique and special. 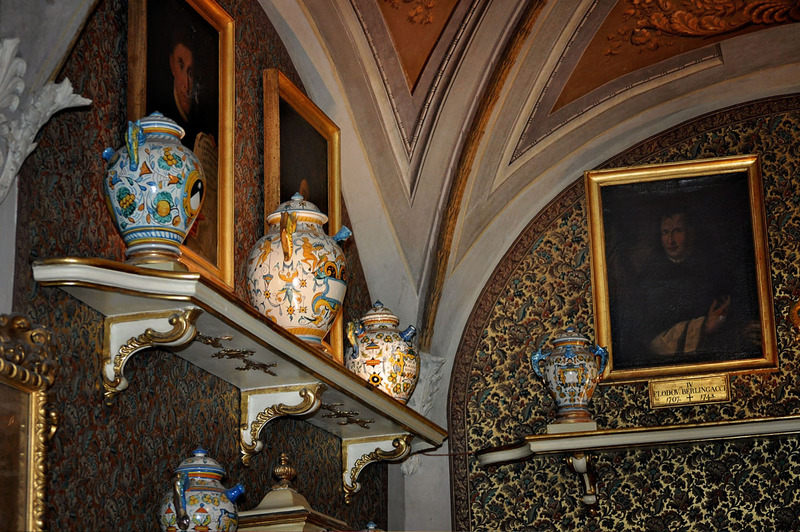 The Grand Duke of Tuscany sponsored them so that the formulas – medicinal, cosmetic, essential and luxurious – could be made for the public and not just for the friars. 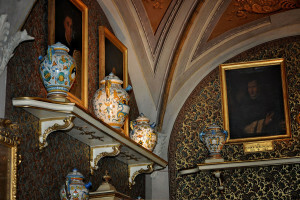 In 1612, The Officina Profumo – Farmaceutica di Santa Maria Novella opened to the public. Today, no trip to Florence, Italy is complete without visiting this ancient gem. They call it the world’s oldest pharmacy, but, truly, it is a time machine because it transports you back to Renaissance Florence. One almost expects to see one of the old masters walking down the cobbled streets with satchels and paintbrushes in hand. I was lucky enough to find myself in Florence in September 2014. It is a city that screams art and architecture. As soon as you arrive, you realize there is frenzy in Firenze to get tickets to The Uffizi Gallery, one of the most famous museums in the world, and The Accademia Gallery which houses Michelangelo’s statue of David. There are a number of museums to visit in Florence, but, entry into these two particular museums is limited to safely preserve the masterpieces and lines are long. Pre-ordering tickets online before you even arrive is suggested. Il Duomo di Firenze is the sacred and iconic Cathedral of Florence and is impossible to miss with its famous Renaissance dome top. We climbed the 466 steps to the top of that dome and after finally regaining my breath from climbing; I quickly lost it again upon seeing the city of Florence from such a grand height. Florence definitely did not disappoint and my husband and I might have left the city content with all that we had seen. However, a friend warned us NOT to miss seeing “the pharmacy.” So we followed our map to Villa della Scala. There is nothing modern day about this pharmacy. There wasn’t a large window with weekly specials for paper towels posted. As a matter of fact, the building’s stone front with the simple glass door might have been the entrance to a library or a museum for all we knew. Once inside, though, I was taken by the sculptures, the carved moldings, and centuries-old paintings on the ceilings and walls. Room after room contained intricately carved wood designs that danced across the top of antique cabinets. Glass shelves held tiny bottles and formulas. Stuccos and frescoes drew my attention to the ceilings. The lighting was soft and inviting. Rich oil paintings of the original Santa Maria Novella directors hung on the walls. Baskets of potpourri and tester bottles were scattered throughout the different rooms. Flowers and ribbons, sofas and scents filled my senses. Time became irrelevant. They are known for their colognes and perfumes. But they also produce beautiful soaps, some of which even have flowers pressed into them. They have cosmetics, candles, potpourri, and men’s shaving needs. 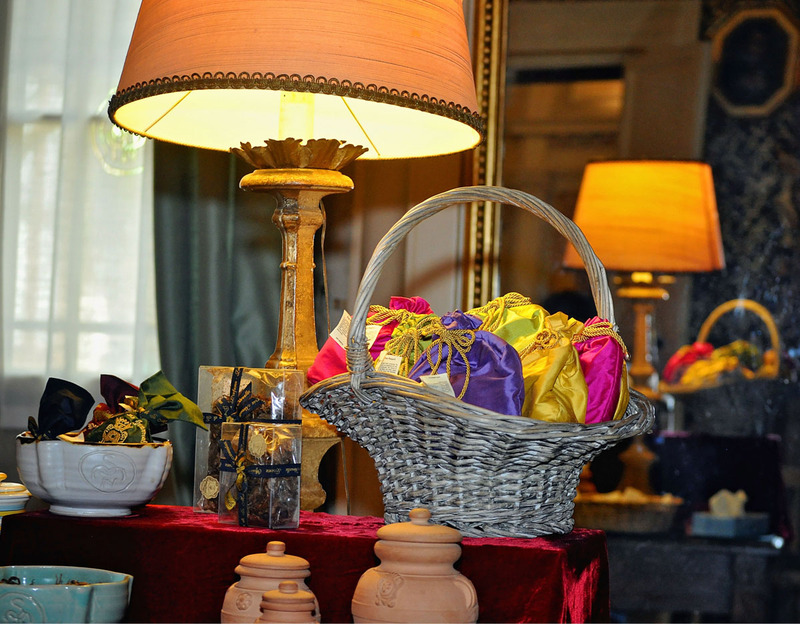 All the products are produced in-house and each one is individually wrapped and tended to until packaging. There is a personal touch here that is lost in big production facilities. Santa Maria Novella now has 50 locations around the world, but they hesitate to expand into every mall on every corner because they just won’t sacrifice the service and the methods they have used for centuries. I got to test all the perfumes. My husband bought me ACQUA DI COLONIA ANGELI DI FIRENZE, or Water Cologne Angels of Florence. It is a sweet and fruity scent created in 2006 to praise and remember the people who worked so hard to save Florence after a great flood in 1966. I’m not sure I can ever be without it now that I have experienced it. That brings me to another woman who could not be without her favorite scent from The Officina Profumo – Farmaceutica di Santa Maria Novella: Catherine de Medici. Catherine de Medici, of the famous Medici family in Florence, was fourteen years old when she was married to Henry II in 1533. Her destiny was to leave Florence to eventually become the queen of France. Before she left, though, she commissioned the friars at Santa Maria Novella to create a scent just for her. They produced a citrus-bergamot perfume that became known as “the Queen’s Water.” She used this scent constantly and shared it with those closest to her throughout her tumultuous reign. Today, some 482 years later, Santa Maria Novella in Florence still makes that very same scent. Not a scent like it – the very same scent. They use the same recipe, the same ingredients. Nothing about its production has changed. It is their signature perfume, the one that made them famous: ACQUA DI SANTA MARIA NOVELLA, or Water of Santa Maria. That’s the wonder of the world’s oldest pharmacy. 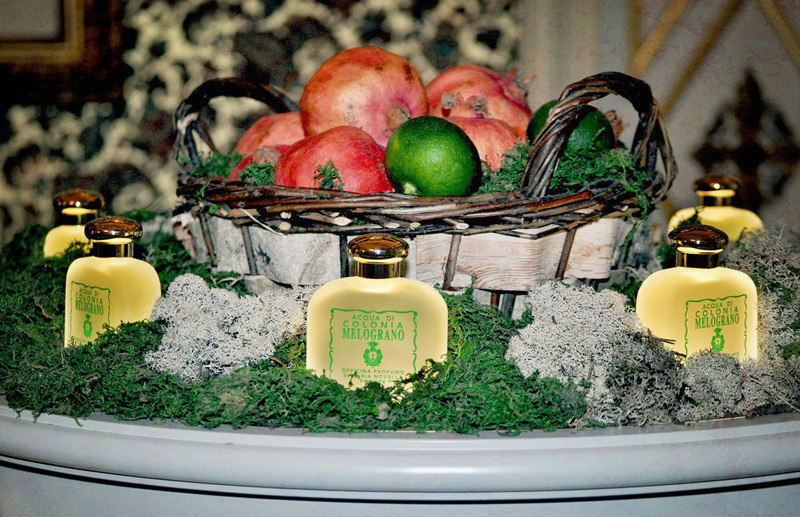 You are invited to experience a scent that was loved by the queen of France in the early 1500’s. You can’t experience that in history books. If you get to Florence, make sure you get to the world’s oldest pharmacy. You do not want to get home and realize you missed its magic! Want to learn more? Visit their site at www.smnovella.it or search for Santa Maria Novella on Google or You Tube.